Each of the advanced products within the Skintech Light Peels collection has been designed to effectively purify and neutralise. The collection currently features four cutting-edge Skintech Light Peels to address four common issues. Acne problems, maintenance of normal skin condition, issues with skin uniformity and skin photo ageing with dryness – all addressed quickly and effectively by the relevant Skintech Light Peel. 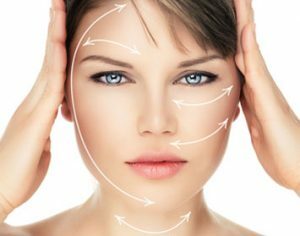 Here at HSA Dermal Clinic, we’re proud to offer an extensive range of purifying peels and related cosmetic treatments for a variety of skin conditions. Whether looking to address an existing issue or simply transform the appearance of your skin, we’re here to make it happen. We can help you select the perfect Skintech Light Peel for your requirements and provide you with all the support you need to begin the best possible skincare regime to enhance your natural beauty. Contact a member of our customer support team today for more information. Skintech Easy Droxy Versicolor Peel is a revolutionary treatment, providing visual confirmation of the neutralisation process by changing its colour. Ideal for patients with dull and lifeless skin, acne-prone skin, fine lines and wrinkles or signs of photoaging, Skintech Easy Droxy Versicolor Peel effectively corrects imperfections after a single use, significantly improving the skin’s tone, evenness and structure alike. Produced in the form of a thick gel, Skintech Easy Droxy Versicolor Peel has been designed to penetrate the skin slowly and evenly for safer and more effective application. The formula of the preparation is based on alpha-hydroxy acids, which target the weakening of connections between keratinocytes (epidermal cells). The result of which is an immediate and on-going improvement to the appearance and physical characteristics of the skin, effectively addressing a variety of common skin problems while reducing the signs of ageing. For more information on Skintech Easy Droxy Versicolor Peel or to discuss your requirements in more detail, contact a member of the HSA Dermal Clinic team today. One of the most advanced cosmetic treatments of its kind, the Skintech Phytic Peel is a self-neutralising peel that contains a combination of glycolic acid, lactic acid, mandelic acid and phytic acid. This highly effective treatment has been designed to exfoliate the very top layer of the skin, while simultaneously penetrating right down to the dermis to stimulate the production of healthy skin cells. The Skintech Phytic Peel works in a similar way to some of the most popular chemical peels on the market, though with no adverse side effects or downtime to worry about. Every Skintech Phytic Peel provides the skin with a rich dose of antioxidants, building a protective layer to guard the skin from free radicals and everyday exposure. In addition, the Skintech Phytic Peel has proven enormously effective in the treatment of acne. Suitable for the vast majority of skin types and all skin tones, the Skintech Phytic Peel represents an effective and affordable solution for a variety of common skin problems.